I was doing my regular Monday morning grocery run when I bumped into a friend in the aisle. We started to schmooze and she said she was meaning to email me about something that was on her mind. I immediately thought this is something important, so I put away the grocery list and paid attention. 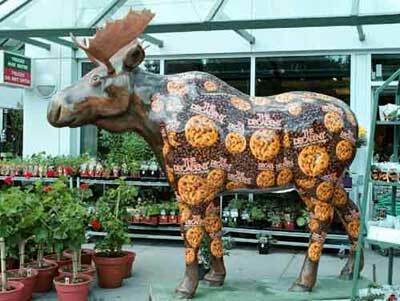 She shared that it really bothered her that PC chocolate chips now have a dairy designation. I agreed. (Personally, since our resident chocolate chip cookie baker has moved out, it hasn’t bothered me that much, but that’s another story.) She said that she got in touch with someone ‘in the know’ and was told they are the very same chocolate chips, but the production process has changed. They are now being made very close to a similar dairy product and there is concern (rightly so) over confusion. She told me that amongst her friends, this product is really missed. Most of the baking done is for Shabbos, and most families make meat on Shabbos. The chips are of a very high quality, affordable and accessible and were a staple in everyone’s pantry and now there is only a bare spot on the shelf where the chips used to be. Does the company know what’s up? Can they see the cloud hanging over the baking aisle? Now, if I was the President in President’s Choice, I would be looking at sales, often. I wonder if sales have been affected since PC chips have come under a dairy designation? Remembering the many supermarket conversations I heard last spring cited the cleverness of those who thought to stockpile. In the parking lot, people shared, “they’re still on the shelves at such and such a location. Hurry.” In fact, I gave my last supersize bag to a dear young Rebbetzin who, herself, lives for chocolate. I ranked that amongst my greatest acts of chesed last year. I spoke to a colleague at COR and he said he had a meeting with the higher ups of the company that make the chips and tried to convey the level of frustration that kosher consumers are experiencing. He told them that families are ‘occupying the streets, emptying out their pantries and setting garbage cans on fire’. Ok, maybe what he was referring to wasn’t a sign of civil unrest, but only preparing for Pesach and burning the chometz, but he was trying to make a point. The point is, we miss our pareve decadent chocolate chips. Why not let’s see what we can do about this? Companies respond to consumer pressure, so let’s make our voices heard. “I am a frustrated Loblaw’s kosher customer. Ever since President Choice’s decadent chocolate chips were no longer designated pareve, my baking is not the same. Please do what has to be done to restore the pareve status of this product. Why not? What can we loose? And maybe we’re taking the first step to get our pareve chocolate chips back. Because, as any kosher consumer knows, the only place meat and milk mix is in the Chocolate Chip Moose spotted above. While we’re waiting on the world to change, I give you my mother’s Toll House Chocolate Chip recipe. Her granddaughter’s innovation of balling the dough with a small spring-loaded ice cream scoop and then freezing them before baking results in a dream of a moist, chewy cookie. Cream margarine, shortening and brown sugar until smooth and creamy. Add egg. Sift flour, baking powder and salt together and beat in to the creamed mixture. Fold in oatmeal, nuts and chocolate chips. Form into cookies as described above and bake on parchment lined baking sheets for 9 minutes. A great thing to add to the letter is that making the product parve will also help attract people with milk allergies and vegans. Any good suggestions for other pareve chocolate chip brands? I’ve just been buying small bags available at the Supermarket. Try and look for the brands that don’t list sugar as the first ingredient. Otherwise, I purchase a higher quality semisweet baking chocolate and coarsely chop it in the food processor. What Does a Chef and a Cook Have In Common?